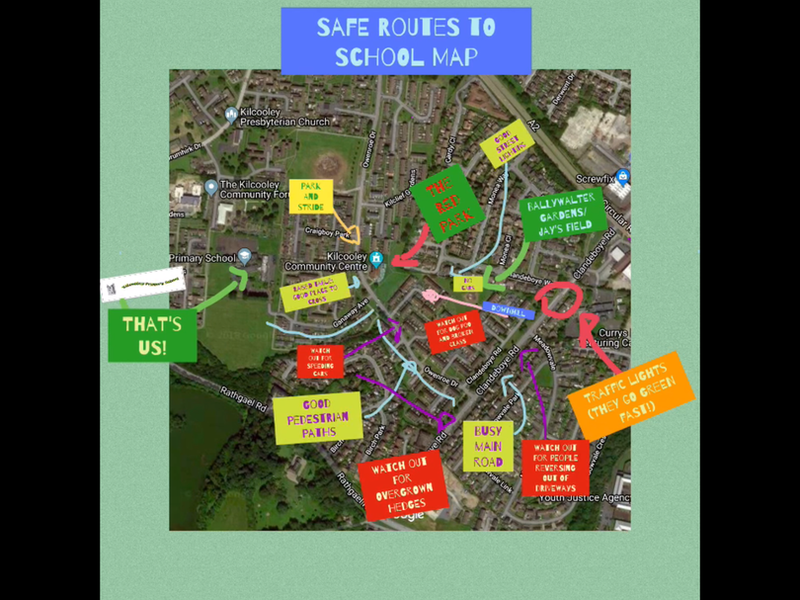 As part of our Sustrans programme, the School Council members created a map to show the safe routes to Kilcooley Primary School. They worked well together and produced a super map of the safe routes after walking around the local area and taking note of any dangers. The end product is amazing! !